As you can tell I am a huge fan of essential oils and will put them in just about anything because I truly believe that they work. 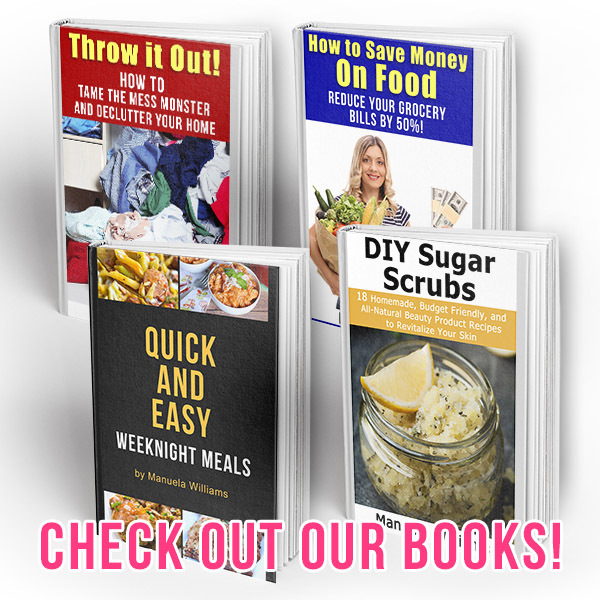 From recipes to household cleaners to my face wash, I love to use them not only for the benefit of knowing they are natural and safe but because they smell amazing! 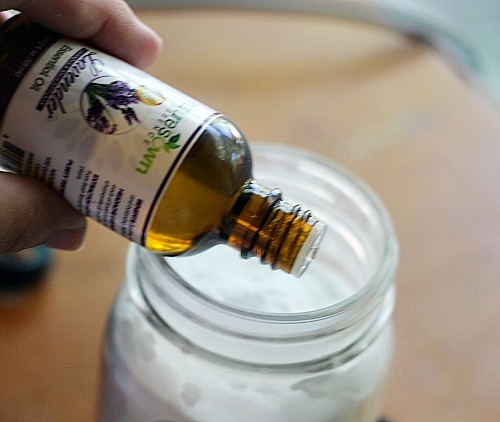 This DIY multi purpose freshener uses only 2 items that you probably have at your fingertips already- Baking Soda (which is incredibly cheap) and Essential oil. I used Lavender oil but you can use any scent you like. 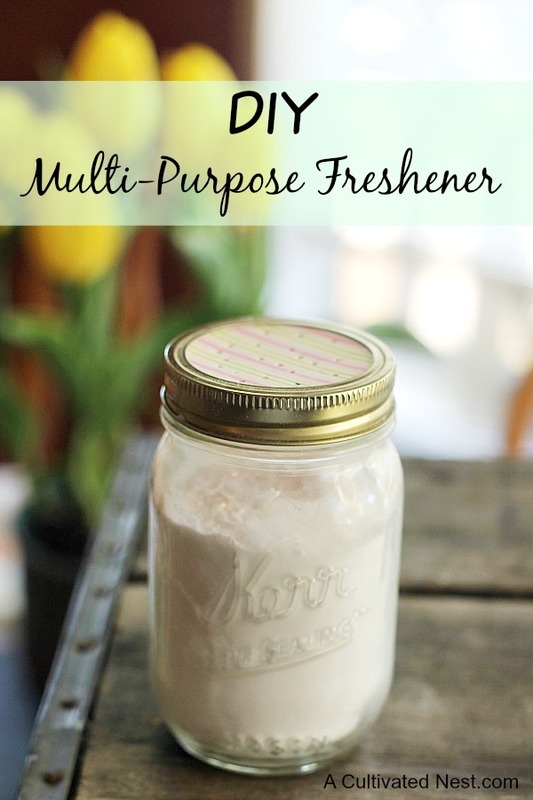 This freshener has so many uses that I always keep a mason jar or two ready on hand for nearly daily cleaning. Store in a pint mason jar for an inexpensive and cute container. Combine baking soda and essential oil until well mixed. 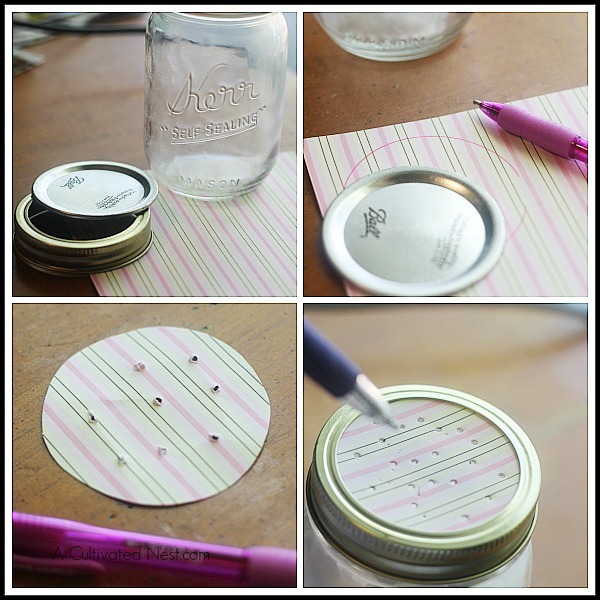 Cut a scrap of card stock to the size of your jar opening, poke some holes in it and place inside the ring. Fill with DIY Freshener mixture. How do I use this multi-purpose freshener? Shake this freshener on carpets, leave for 10-20 minutes, then vacuum up for fresh, clean carpeting. Baking soda will help draw out dirt and odors as well as leaving it looking cleaner than when you started. 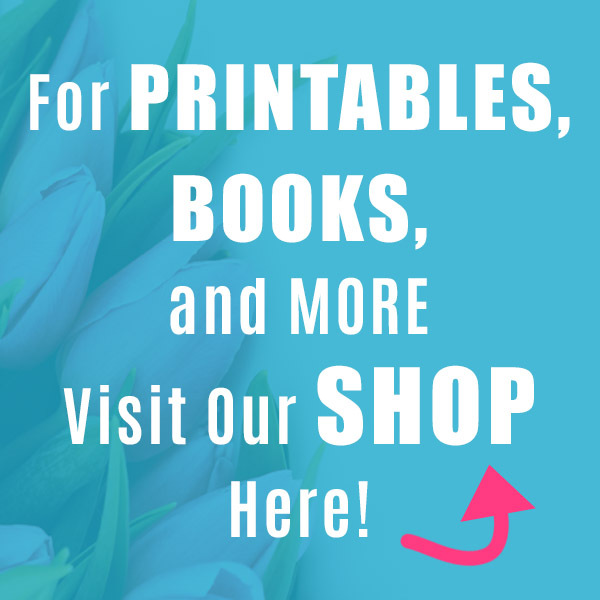 Much nicer than store-bought carpet fresheners! Sprinkle and leave for 15 minutes, vacuum or sweep off. Baking soda will absorb any dampness and pull out dirt, while lavender oil freshens and deodorizes. You will need to gently shake the jar every few days to refresh the scent. You can add more oil if needed. Place anywhere the air needs a natural freshening. Add a ½ cup borax to this mixture to kill fleas and dust mites-sprinkle on pet bedding, carpets, rugs, etc. Allow it to sit for 20 minutes then shake off, or vacuum clean. Use this mixture and a upholstery tool to freshen and clean your car’s or camper’s carpet & seats as well. 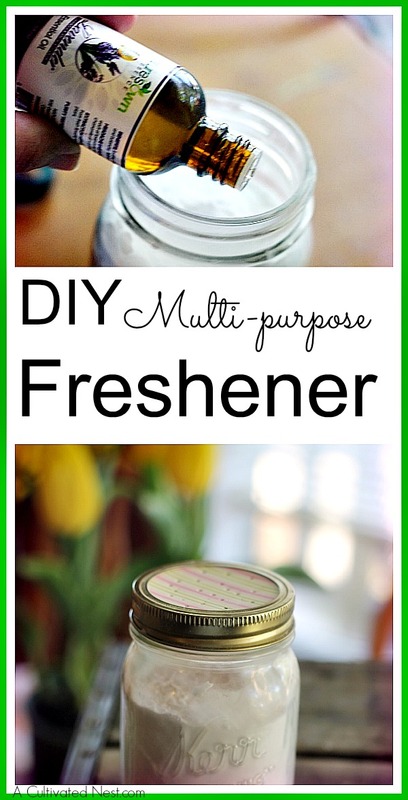 This DIY freshener is not only environmentally friendly but frugal as well! Do you have a favorite way of keeping your home smelling fresh? 8 Natural Ways To Make Your Home Smell Amazing! Great idea! Thankfully I don’t have carpet. Carpet and dogs don’t go well together. But I will have to try this elsewhere. huge essential oil fan too. 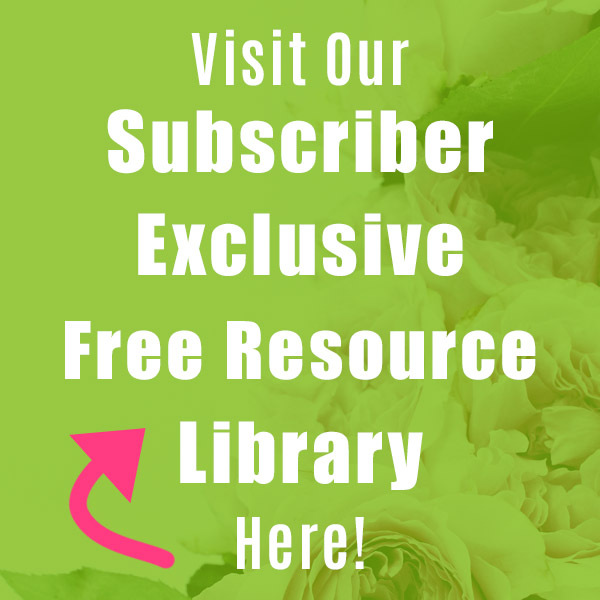 🙂 Just wondering if you have a brand preference on essential oils, or if you’ve ever heard of Doterra? Visiting from Bouquet of Talent Link Party. New follower (Janus Lane) on Pinterest. such a brilliant idea! thanks for sharing this – definitely trying ASAP! I have made this in the past and love to use it on carpets. I used orange for the scent and it smells great! 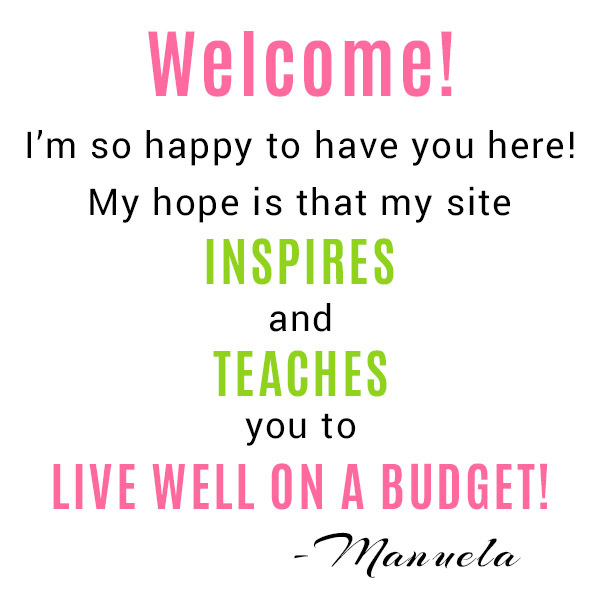 Thank you for sharing at the Home Matters Linky party. Hope you come again!